CONCORD, NC (Nov. 7, 2018) – DIRTVision and Knoxville Raceway announced today a broadcast partnership establishing DIRTVision as the exclusive broadcast platform for the Knoxville Nationals presented by Casey’s General Store, the Weld Racing Capitani Classic presented by Great Southern Bank, the 360 Knoxville Nationals presented by Great Southern Bank, the inaugural Corn Belt Nationals and the full regular-season schedule of events that comprises the Knoxville Championship Cup Series. After a rigorous selection process to determine a partner best suited to execute, market, and grow the broadcast package, the Marion County Fair Board, which oversees the historic half-mile, selected DIRTVision for the job. DIRTVision pioneered live dirt track video streaming in 2004 with the ultimate goal of streaming content on a nightly basis. Now, 15 years later, that goal has become a reality and Dunlap has seen it through this full trajectory. DIRTVision will set up dedicated production resources for the weekly Lucas Oil Knoxville Championship Cup Series, and ramp that up with additional cameras and staffing for the marquee events around the Nationals. The agreement includes marketing, promotion and customer service, with all content being fed through the DIRTVision studio in Concord, NC. 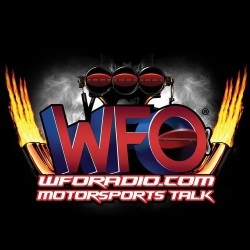 Pricing information will be released at a later date, but the content will be separate from the Sprint Car Fast Pass. 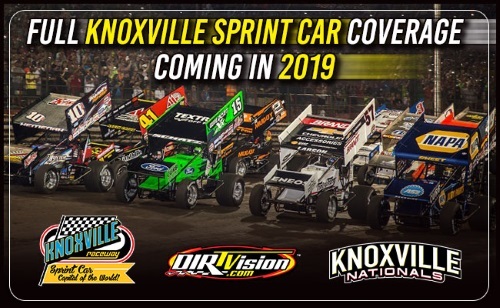 DIRTVision will kick off the 2019 Knoxville Raceway schedule on April 13 with the PellaMotors.com/Kraig Ford season-opening Knoxville Championship Cup Series event with 410, 360 and 305 Sprint Cars. Be sure to keep up with @knoxvilleraces, @WorldofOutlaws and @dirtvision for the latest news.